Medical tourism could save you a bundle. 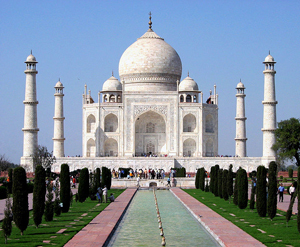 Go To India For Your Heart Bypass? Absolutely! Want to recover from knee surgery while basking on a spectacular beach in Thailand? Well—surprise!—your health insurance company might cover the cost for both you and a companion. The catch: you have to go there for the actual operation to qualify. The bonus: not only can you find great care overseas, you could even earn a chunk of the savings (surgery costs 30-90 percent less abroad) or a free pass on the deductible and co-insurance. Of course, if you don’t have any insurance, you can save yourself really big bucks. Getting that knee op in Thailand could save you $38,000, even after factoring in the expense of a plane ticket and recovery in a resort hotel. 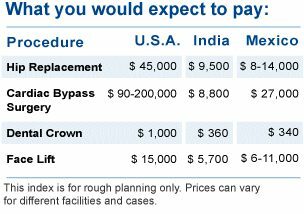 If you zip off to India for a heart bypass, meanwhile, you could trim the cost from as much as $133,000 to a mere $7,000. And yes, if you have a Health Savings Account (HSA) you can use the funds to pay for your overseas medical care at qualifying facilities. Medical tourism is booming. And it’s no longer a lucky-dip, risk-ridden enterprise. The American non-profit Joint Commission International accredits hospitals both in the US and overseas, certifying excellent standards of care in 1,300 key areas with yearly inspections of facilities and records. There are now over 220 JCI-approved hospitals overseas in countries from India and Singapore to Dubai, Mexico and Malaysia. You’ll find beautiful facilities providing treatment and care that’s at least as good as, and very often better than, US hospitals, at a fraction of the cost. Although ‘operation vacations’ are usually very worthwhile for procedures costing more than $6,000 out of pocket, cost isn’t always the motivating factor. Many facilities specialize in certain procedures, leading to superior treatment, or a procedure that isn’t yet approved or readily available in the US. And sometimes long waiting lists can spur medical tourism, too. It’s essential to do your homework thoroughly. Check the certification of both the hospital and the doctor you’ll be seeing; ask about references, the number of similar procedures they have done, and success rates; know what liability and malpractice insurance they have. Discuss both before-care and after-care. Can you sit on that beach after you’re done, or should you plan to do your touring ahead of surgery? How soon can you—or should you—travel? Will your local doctor co-operate with the overseas doctor? What if there’s a complication after you get home? What standard of English is spoken? Technology will be your ally. Video conferencing helps you to virtually “meet” your surgeon ahead of time, and lets family members at home talk to you and your doctors while you’re there. Telehealth-enabled instruments like otoscopes, dermascopes and electronic stethoscopes allow your doctor and anesthesiologist to give you pre- and post-operative examinations. And RateADrug.com’s systematic online prescription drug evaluations allow you to efficiently keep your doctors overseas and at home abreast of medication side-effects, efficacy and side-benefits. If you have trouble getting cool in summer or if you sweat a lot during exercise, try using sandalwood oil as a splash on cologne. Sandalwood oil has cooling properties and is used in many Asian countries to cool the body when no air conditioning is available. It smells great and works as a natural coolant on the skin. It’s also great for acne, eczema and other skin problems that can be caused by sensitivity to heat. Regrettably, due to over cultivation in India, it's very difficult to find good quality sandalwood oil, unless you happen to visit the Mysore Provence in India or Dubai- where they sell all sorts of essential oils and fragrances.. Still, even diluted versions that can be found in the USA work pretty well to keep you cool in summer months. Try shops that sell incense or Indian goods, and if possible purchase the Mysore brand which regulated by the Indian Government and is the most pure oil available in most cases.